Little Paxton Parish Council has purchased and installed four community defibrillators in the village. 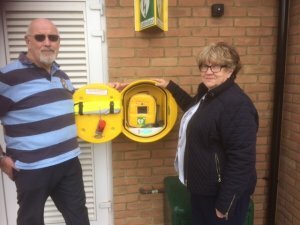 The Community Public Accessible Defibrillators (CPADs) are located on the external walls of the Village Hall, The Hub, beside Costcutter (The Parkway) and on the wall at the entrance to Skipper Way. Three of the CPADs were funded with the assistance of a Awards for All Lottery Grant. All four are top of the range devices and have video and audible instructions to assist the rescuer. They are easy and simple to use. To access the CPADS, call 999 and ask for Ambulance Service.